Earn 154 loyalty points, worth £7.70, with this purchase. 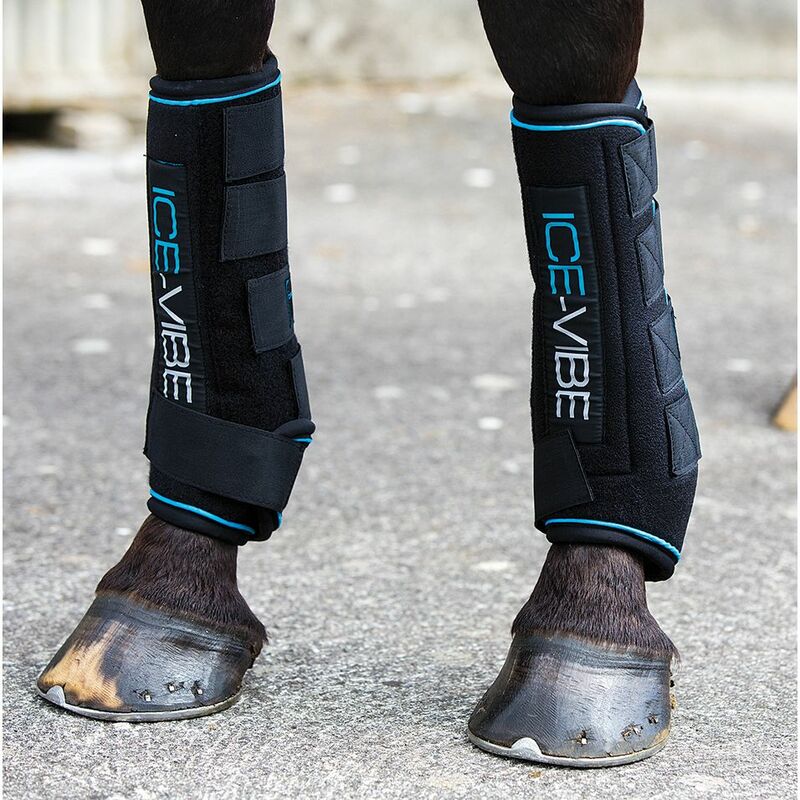 The Horseware Ice-Vibe has three settings for different treatments. Level 1 - Treatment of inflammation with cold pack. To go from one level to the next, just hold the button down for 3 seconds. The blood supply to the lower limbs of a horse is very poor. Vibration stimulates blood flow to the legs - bringing nutrients and removing waste. If your horse has sensitive legs - especially horses with white socks that may be clipped - we recommend leaving the cold packs out of the freezer for 5 mins before use or use them from a refrigerator. Alternatively use a thin wrap on your horses legs before applying the cold packs. - 3 adapters for universal use.